We again have about 80 unconfirmed petition signatures and will send out new confirmation mails to those 80 signers tomorrow. With the link and automated response, it sometimes can happen that the confirmation mail goes into a spam- or junk- or trash-folder. Please check those in case you did not receive the original confirmation mail for your petition signature. Thank you! The blog articles are a very interesting read and exploration into King Richard III’s family. Especially the characterisation of his brother King Edward IV’s caught my interest, but there are lots of further interesting articles and comments about King Richard III and members of his family there. 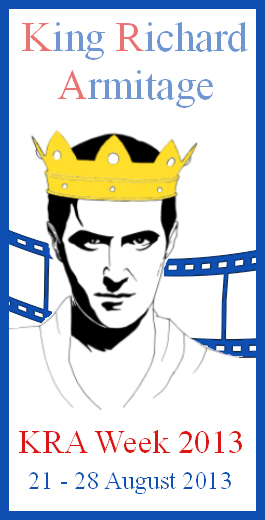 Last week we linked to images, CDoart had created for King Richard Armitage. She also has created a bag for herself and got some requests where that bag could be ordered. So she made it available and published the order-link in the comments to the article on her blog. 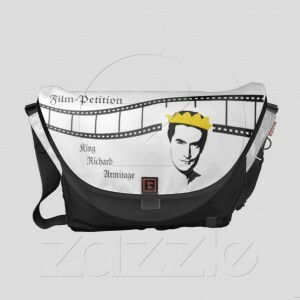 CDoart does not want to make any profits by making her ‘Petition King Richard Armitage’ bag available, but will give all commission fees and income generated through sales via Zazzle to charities specified or yet to be specified by Mr. Armitage. The bag can be ordered via Zazzle.com (where also more details about the bag are available). 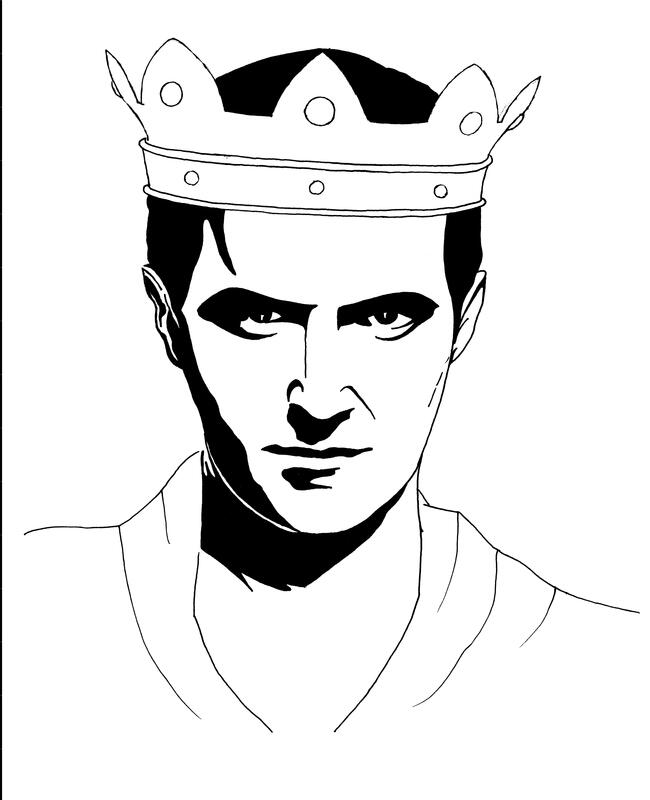 Last week we announced a new article in the BBC History Magazine about King “Richard III. Why Shakespeare made him a Devil”. Maria Grazia already had a chance to get to the article and posted a detailed review on her blog Fly High. She also links to an interesting background interview with the author of the article, Dr. Paulina Kewes, teaching at the Jesus College in Oxford, which is published as podcast by BBC History Magazine as further background to the magazine article. 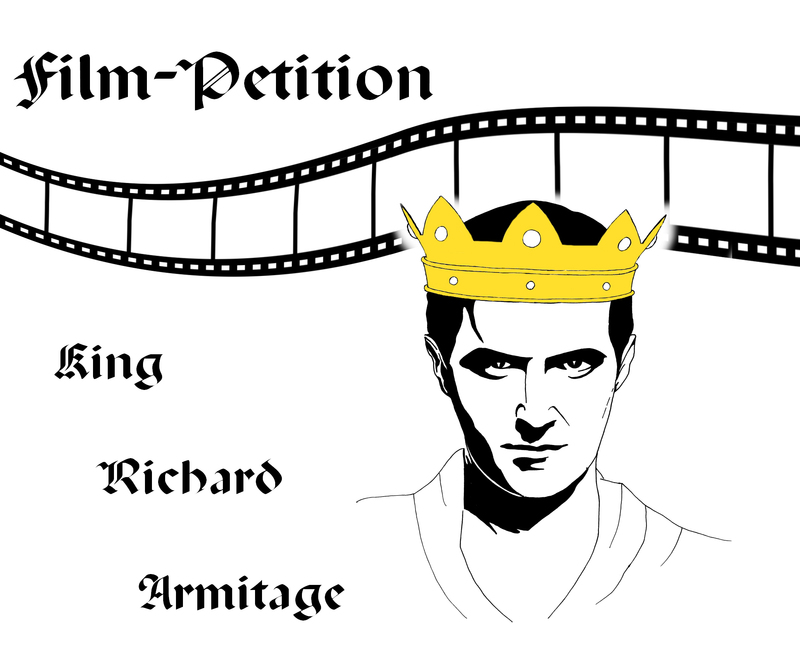 CDoart on her blog continues doing fan-artwork by creating a new ‘King Richard Armitage’. as main article in the current May 2012 issue. In this article, “Paulina Kewes considers the sources that contributed to William Shakespeare’s portrayal of Richard III“. 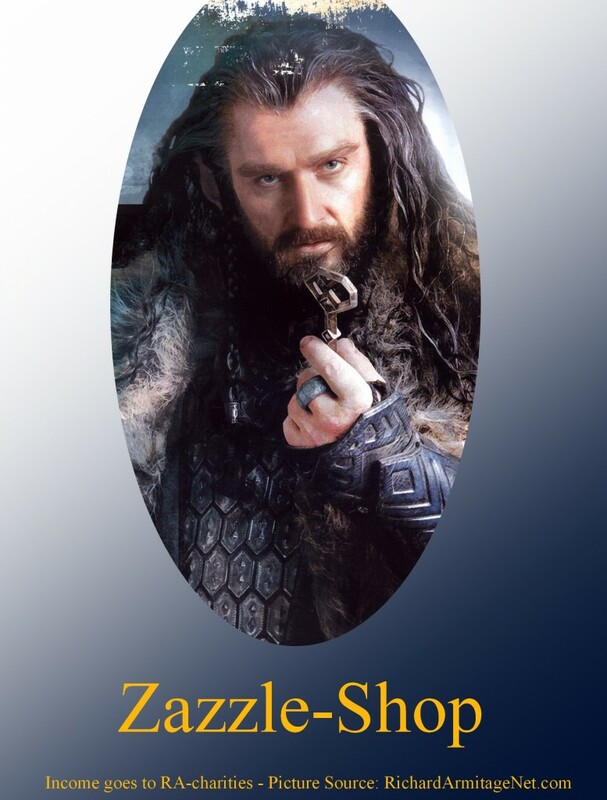 Unfortunately I have not been able so far to get hold of this article, so I only include the description of the article given on the magazine’s website. Please comment and let us know your opinion about this article, if you already had a chance to read it. Thank you! An interesting event about King Richard III, coming up in October 2012, is the symposium held by the Richard III Foundation in Market Bosworth (Dixie Grammar School in Market Bosworth). The Richard III Foundation, Inc.
A walking tour of the battlefield with Mike Ingram will take place at 2 pm. We will meet at the Tithe Barn before we are taken to key locations. Tour is expected to last an hour. Mark Downing—”Military Effigies in the Yorkist Age”. Dr. David Hipshon— “The Princes: Contemporary Assumptions”? Special presentation of Peter Algar’s new publication – “Dead Man’s Hill”. 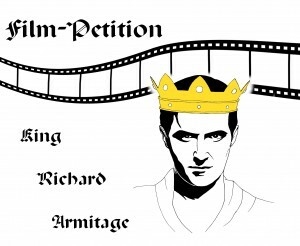 To obtain a copy of the registration form, contact Mrs. Dorothy Davies, The Richard III Foundation, Inc., 32 Church Lane, Ryde, Isle of Wight, PO33 2NB or email her at dorothy2583@gmail.com or email us at Richard3Foundation@yahoo.com. We also have prepared the registration form for download here (pdf-file).